Does This Mean We're Getting A New Diesel Tahoe And (Or) Suburban? 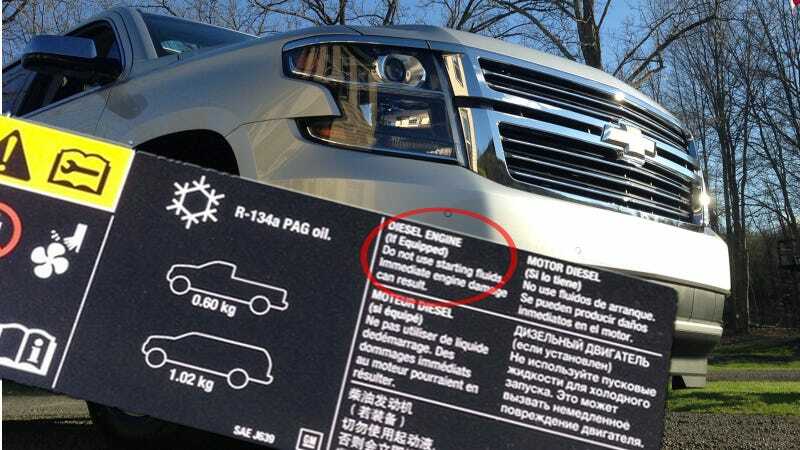 Since we heard a diesel Cadillac Escalade might be in the pipeline, folks have been sniffing around for clues as to wether we might get an oil-burning Tahoe or Suburban. Motor Authority's Joel Feder noticed this sticker under the hood of a Tahoe, which opens a little more opportunity for speculation. Either GM just printed one sticker for all their pickup trucks and SUVs (which seems more likely), or they've already been planning diesel SUVs for awhile. What do you think?